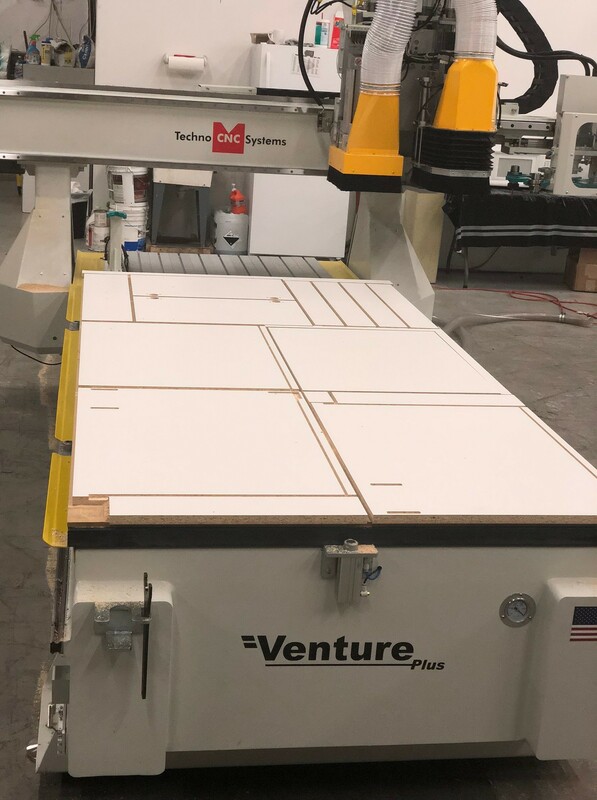 Techno is proud to release the Venture Plus cabinet nesting pro Series machine to our customer in Phoenix, Arizona. 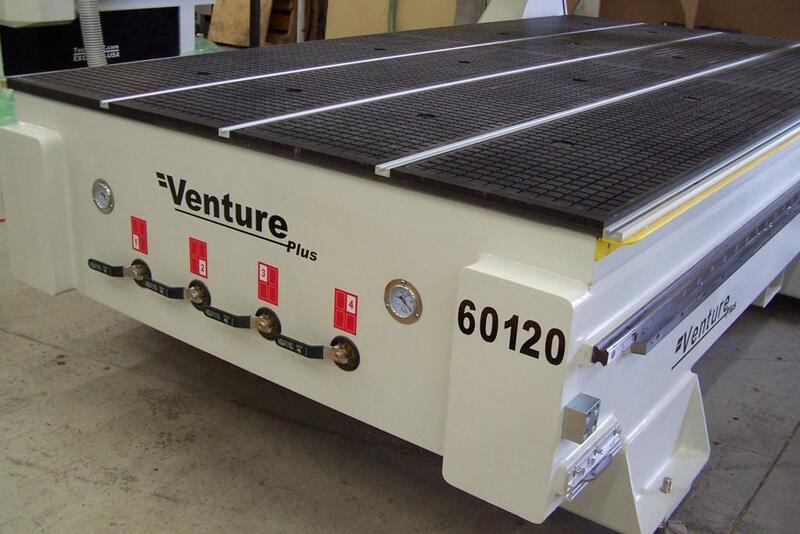 This Venture Plus weighs in at over 6000lbs, includes a 16HP HSD automatic tool changer, 8-position rotary tool carousel, HSK63 tool holders, 9-spindle HSD drill bank, vacuum pod nesting table which accepts industry standard pods, twin pack of (2) 10HP rotary vane vacuum pumps with space saving steel base, material pop-up pins for easy sheet alignment, and C-axis drive for aggregate tool head, allowing for 360 degrees of rotation. 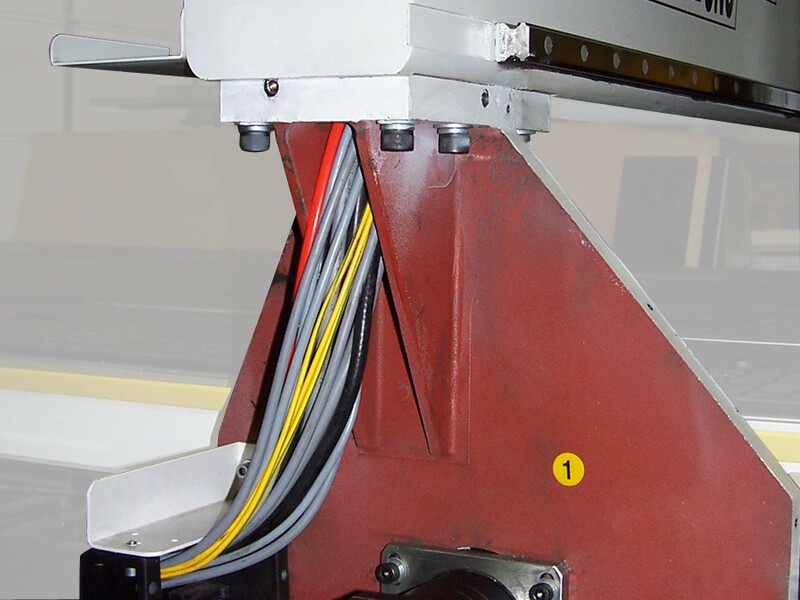 The machine is powered by 1.5kw Yaskowa AC servo motors and drives delivering speeds in excess of 2000 ipm, all axes riding on high precision THK HSR30 rails and bearings, all powered by an Osai industrial PC based controller which accepts industry standard G&M codes from the most popular cabinet nesting software programs on the market. 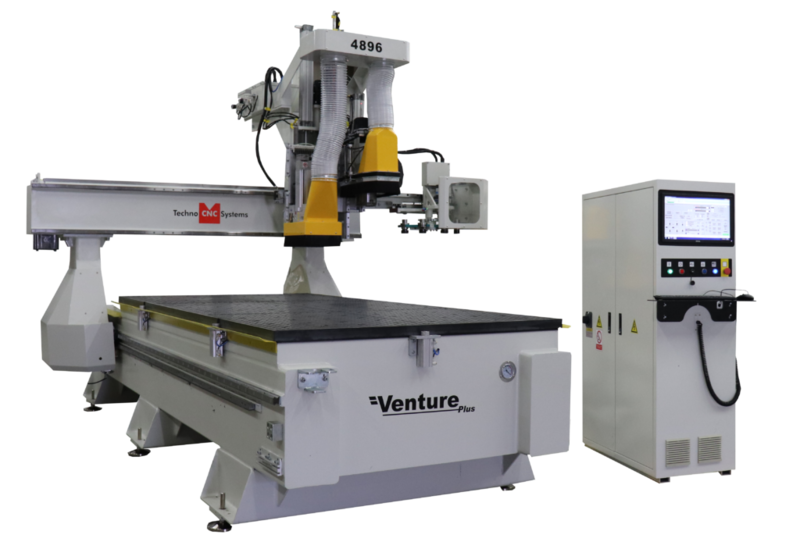 In addition to woodworking, the Venture plus is ideal for Plastic routing / fabrication, Aerospace, pattern making, and many other applications. 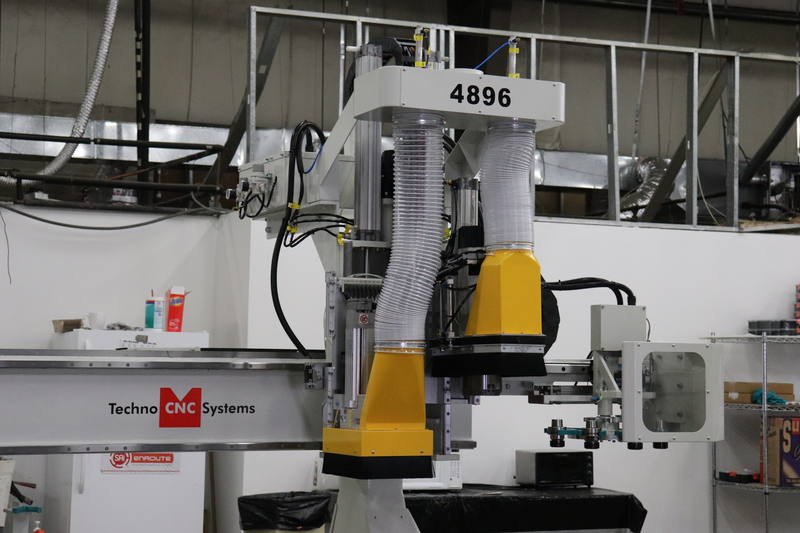 The Venture Plus Series machine includes an 8-position rotary carousel that moves with the machine while the gantry travels. 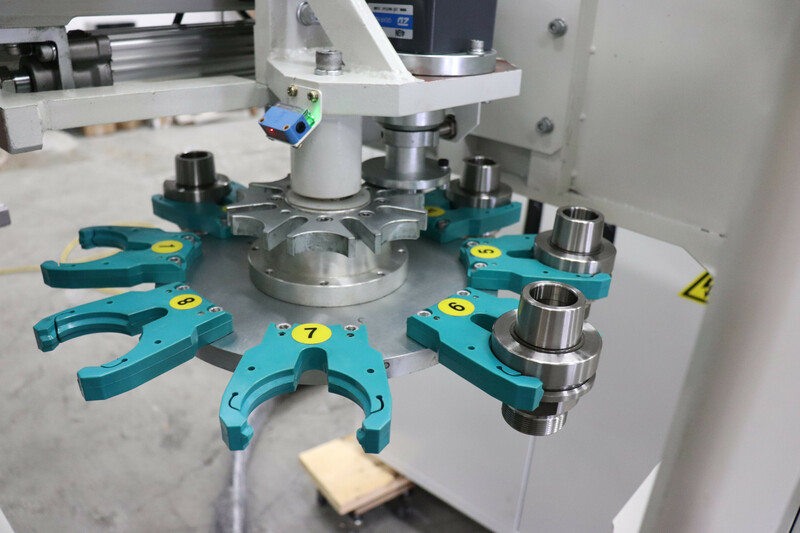 The use of a carousel speeds up tool changes assuring faster cycle times increasing production capability. 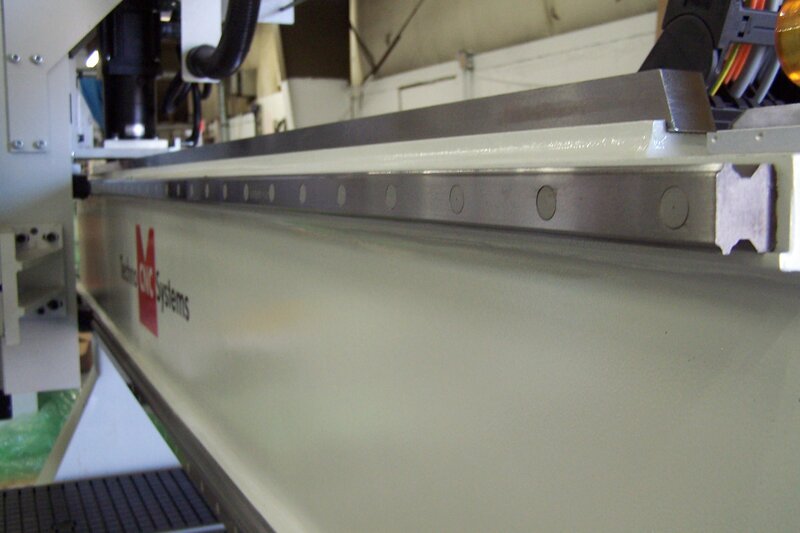 The Gantry Uprights are fabricated out of steel plate that make up a welded assembly. 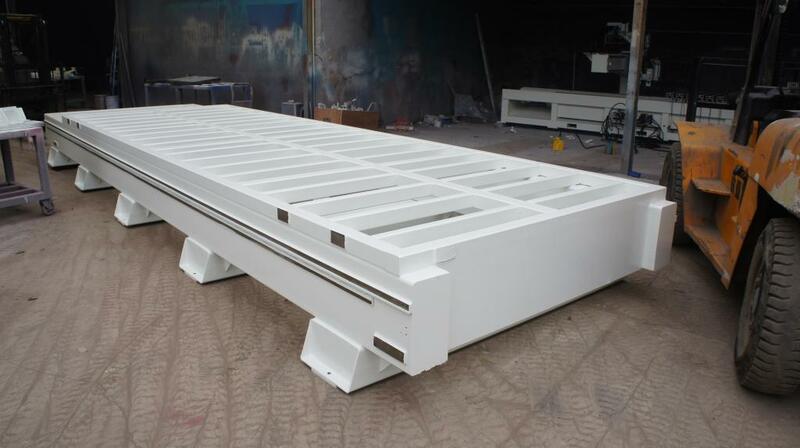 The Gantry Uprights include reinforcing gussets adding additional stability to the assembly. 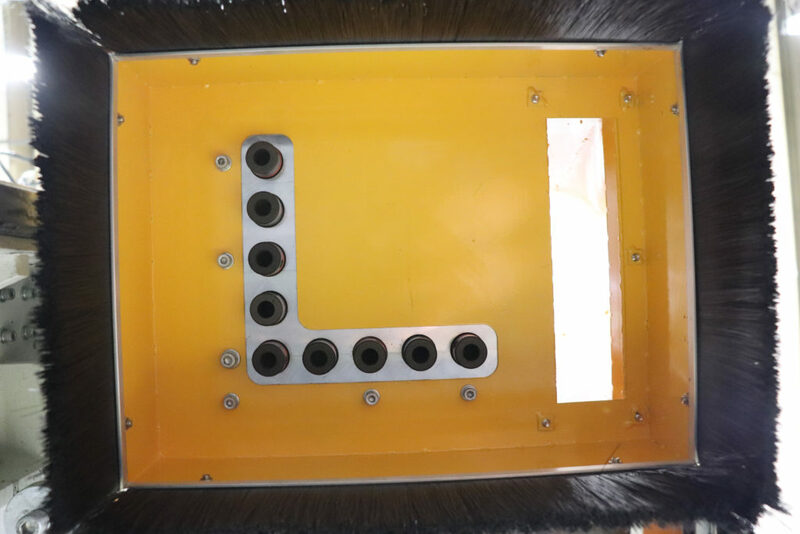 The complete assembly is then stress relieved and precision machined so that they stay true over the life of the machine. 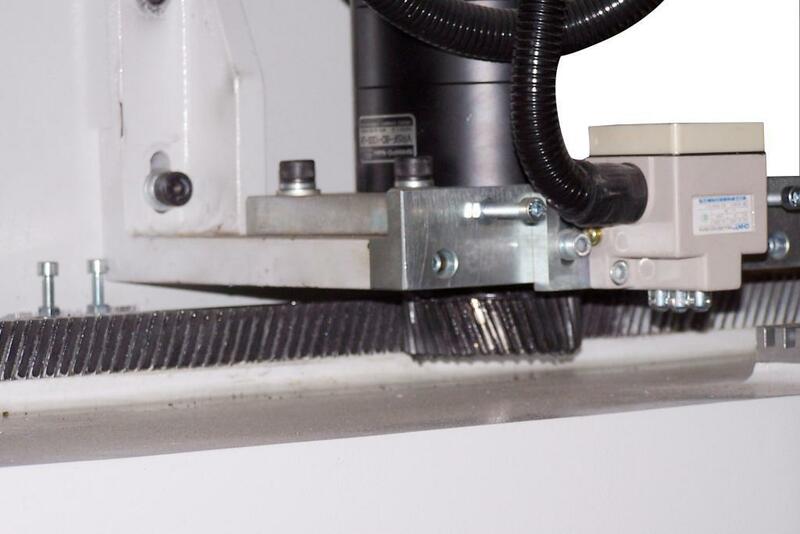 The Venture Plus comes standard with an Automatic Tool Calibration Touch Off Pad. 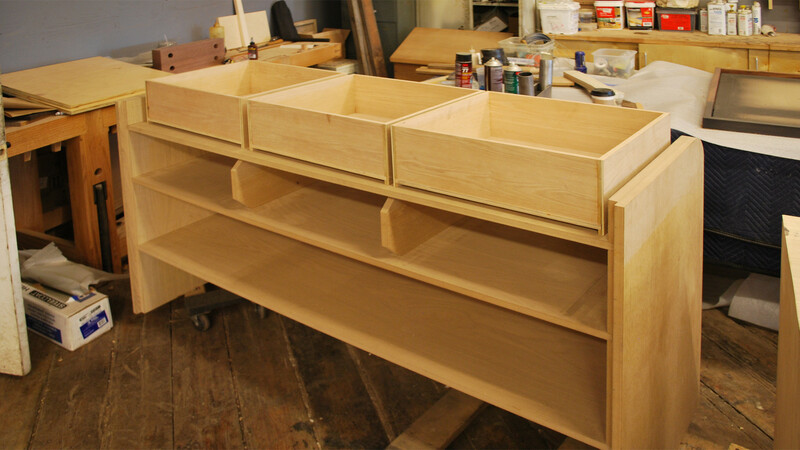 This feature makes measuring tool lengths easy and quick. 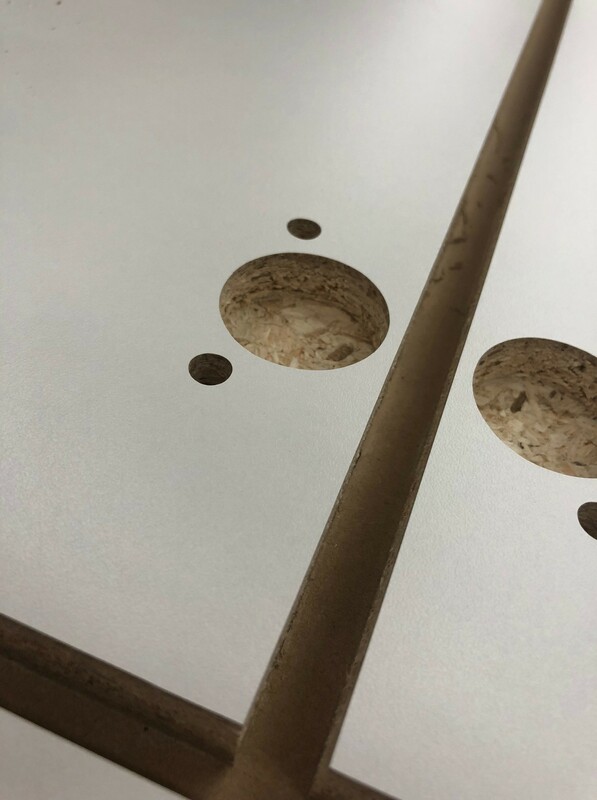 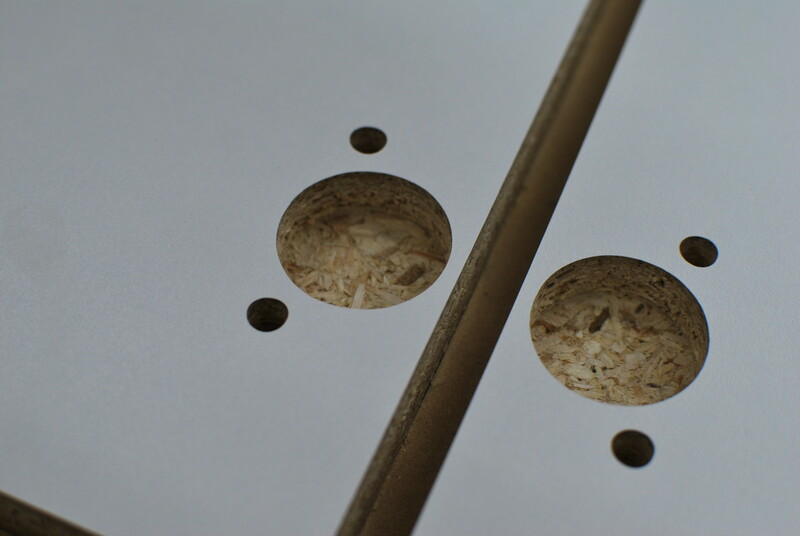 The Techno Venture Plus CNC Router has a 1 inch thick phenolic vacuum table surface mounted onto the steel base frame, keeping a rigid and consistent platform for your sheets and parts to be supported. 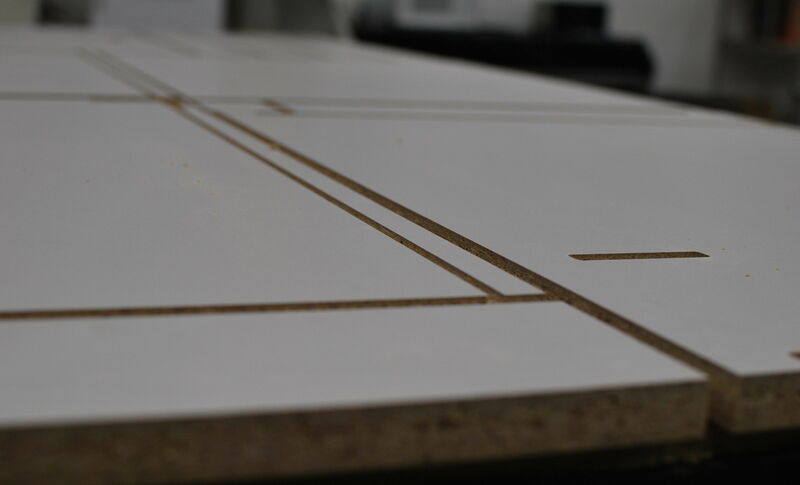 The vacuum plenum table surface is multi-zoned which allows the operator to easily switch from full sheet processing to smaller part processing, (which requires a smaller segmented area). 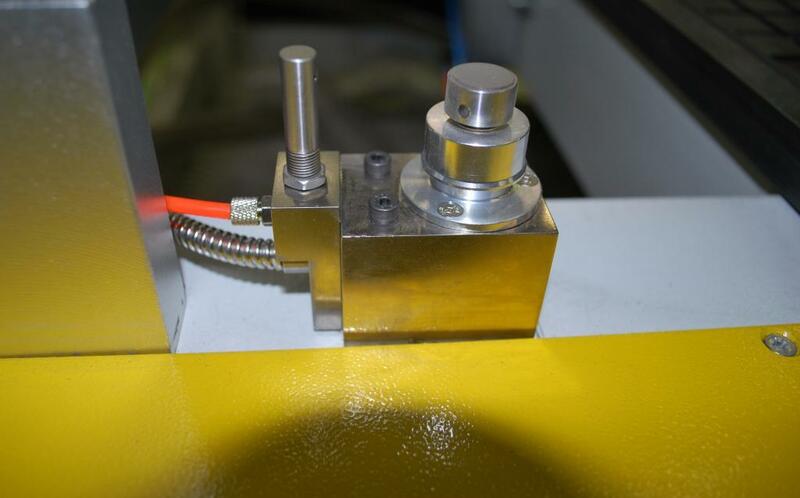 Zones can be turned off easily via control valves on the front of the machine. 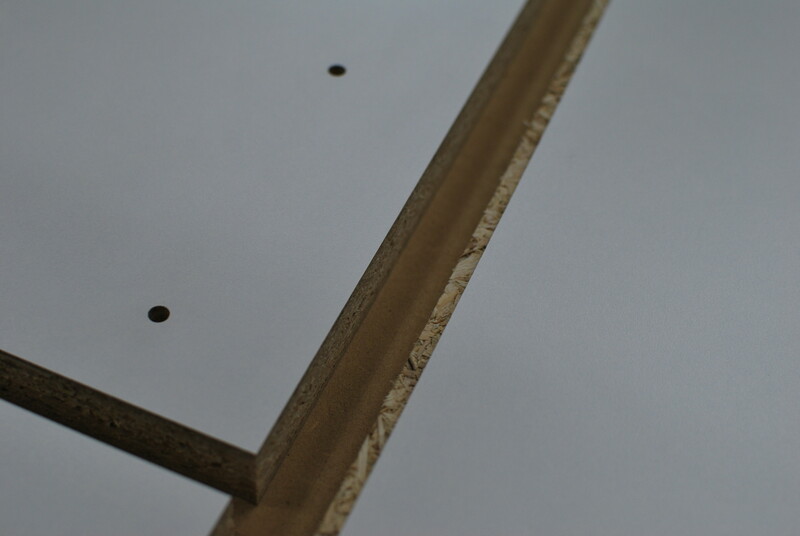 Gasketing can also be routed to accommodate various material sizes and styles.